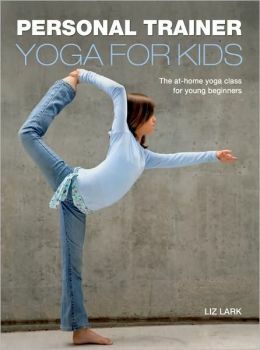 Personal Trainer: Yoga for Kids is written by Liz Lark. This vibrantly designed and accessible guide gives kids a warm welcome to yoga. Liz Lark, an experienced instructor who also has a degree in the performing arts, takes a group of children through a session, from sun salutations through standing and seated postures, to relaxation. Animal and nature poses, a special favorite of kids, help make the process fun, as well as beneficial. Each exercise is introduced by a brief story about the pose, followed by easy-to-follow step-by-step instructions.